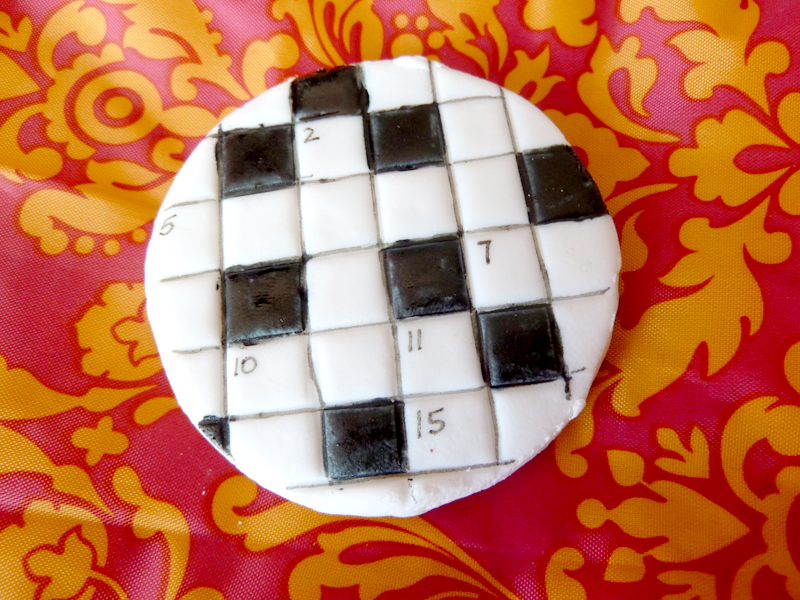 Here is my method of how to make crossword biscuits. It's adapted from the decoration technique outlined on the Cake or Death? website. Dust the bench with icing sugar, and roll out a little of the fondant thinly. Coat the biscuit with a swipe of warmed, sieved jam, or the sugar syrup. 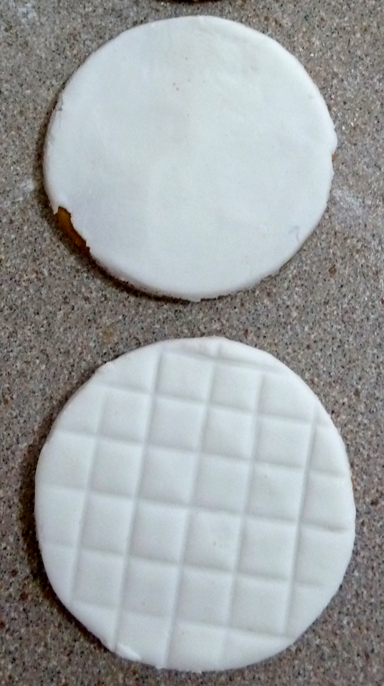 This helps the fondant icing to stick to the biscuit. Carefully lift the piece of fondant icing, and press it onto the biscuit. Trim around the edges with the little knife. Repeat for the rest of the biscuits. Leave the biscuits to dry for a good long while — at least 4-5 hours, but a day is better. When the icing is firm, put some of the black food colouring paste into the tiny dish, and moisten it with a few drops of water. Mix well with the brush. Use the brush to mark the lines of the grid (or use the pen). Steady your hand by leaning your elbow on the bench, and holding your painting-hand wrist with the other hand. 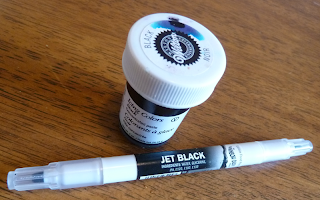 Following a crossword grid, colour in the black squares with the brush and food colouring 'paint'. If you go over the lines, you can rescue the design by using a clean damp brush to wipe away the excess paint, and then a clean damp cloth to wipe the surface of the icing. Be careful not too add anything very wet, or the icing will dissolve and the ink will only spread further! Leave to dry for a good few hours! When everything is really dry, write the grid numbers into the appropriate squares, using the edible ink pen (fine tip). You can write words into the grid if you like, too (a special greeting for someone, perhaps?!). Ta dah! You're ready to impress your friends and influence people! Labor intensive and totally worth it! You are SUCH a winner! Oh they are just fabulous!! S clever. I have one of those pens and I love it, I used it to make bunnies' eyes on biscuits at Easter! !